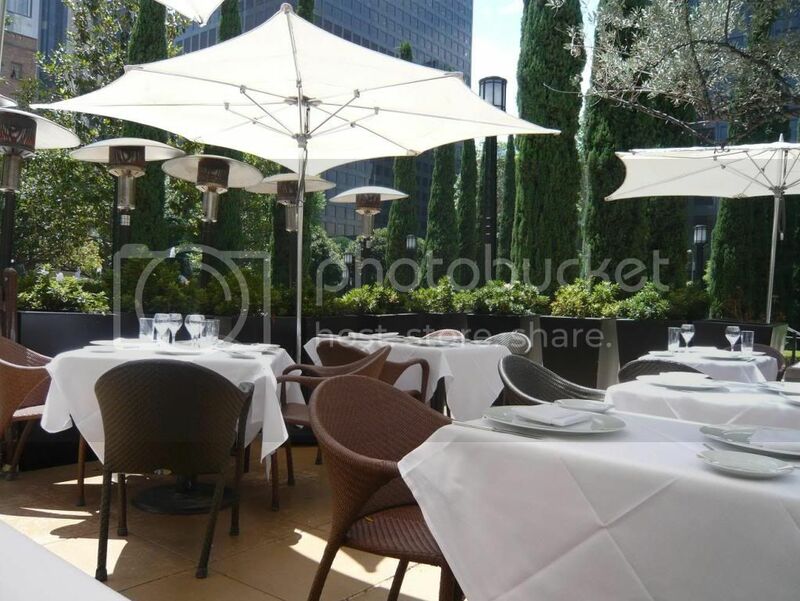 The outdoor dining area at Cafe Pinot transports you out of the busy, loud, crowded downtown LA. Next to the Maguire garden, their patio escapes the busy foot traffic and gives you a more tranquil setting for your meals. This Patina group restaurant offers a pretty good prix fixe deal during lunch time. Their Lunch Spa Menu offers a changing two courses (where you'd typically get two choices for each course) for $24. 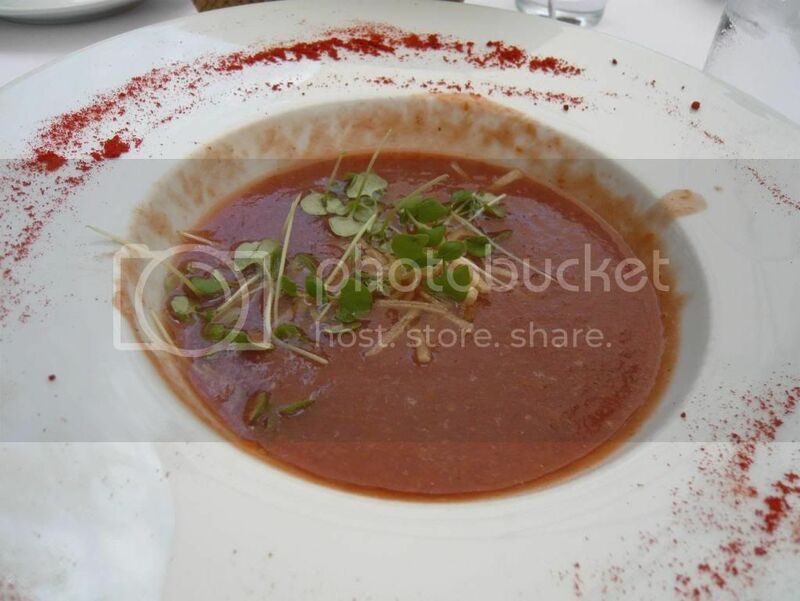 We tried this place at the beginning of summer and ordered the Tomato Gazpacho to start our lunch prix fixe. A solid gazpacho. Nice flavors and cooling for a warm summer day. 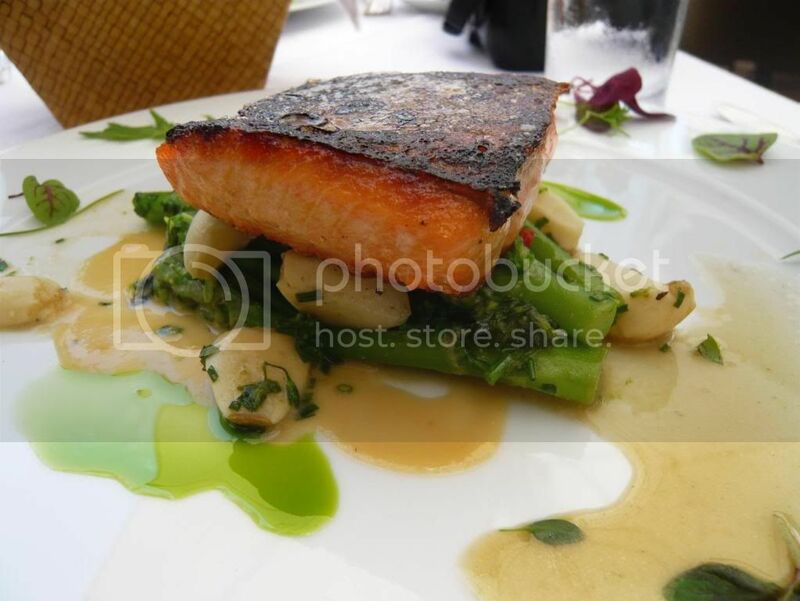 For the entree, we ordered the Grilled Arctic Char with miso-based sauce. The fish was quite nicely prepared. The skin was cripsy while the fish meat remains moist and juicy. We also really enjoyed the sweet miso based sauce pairing. The lunch spa menu didn't come with dessert but Mattatouille convinced me that the peach crumble here is definitely worth getting, so we ordered one to share. Absolutely worth ordering. 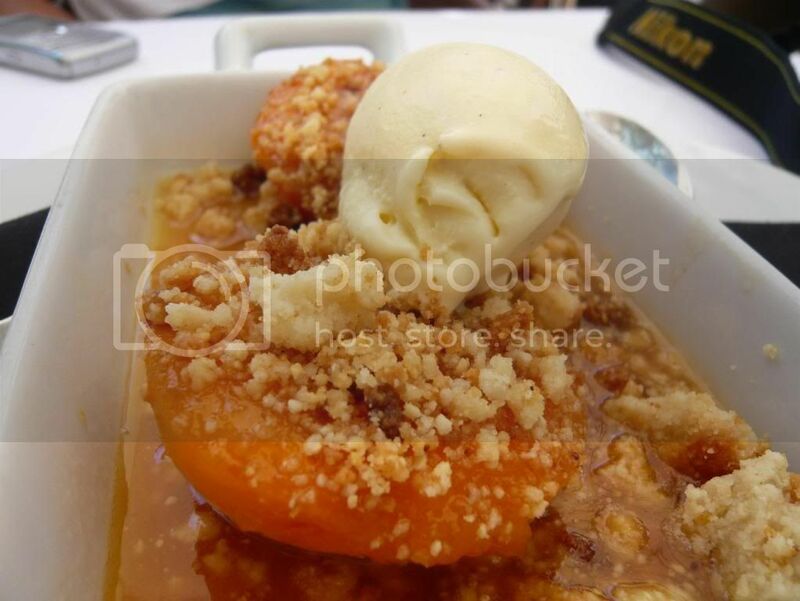 This is one of the best peach crumble I've ever tasted. The focus here is definitely the peach, which was deliciously sweet and is not overwhelmed by the syrup. The crunchy crumble adds a nice contrast to both the flavor and texture. This is something worth coming back for. I was pleasantly surprised by Cafe Pinot. The al fresco garden patio dining was very enjoyable, the prix fixe quite reasonable and the food well prepared. But as you can imagine, the peach crumble clinched the deal for me. As long as that stays on the menu, I'd come back for sure. I know this place! I was always wondering what type of food they have because I have never seen one go in there for lunch or dinner. It seemed like it's a nice place with beautiful decor and ambiance, but the lack of diners made me unsure to visit this place. Glad you like it enough to come back here again. I've not been to Patina, but Cafe Pinot is my fave of the Patina restaurants I've tried (including Nick and Stef's and Zucca [blech]). It was our go-to place for summer associate lunches.